The Pennsylvania Housing Finance Agency, or PHFA, is a state-affiliated agency created to help provide affordable housing to first-time home buyers, low- and moderate-income families, seniors and others with special housing needs. To access these programs, you’ll need to work with a participating lender. We researched PHFA’s four-page list of state-approved banks and mortgage companies and compiled a summary of lenders who rank among NerdWallet’s best-rated. These lenders aren’t depository institutions; they work with borrowers who aren’t impressed with fancy lobbies and free checking. Nationwide top 100 mortgage lender. Offers a fully online loan application, along with document upload and e-signature. The “Close-On-Time Guarantee” makes your first month’s mortgage payment if your loan fails to close on time. Nonbank lender with a lineup of loan products rivaling bank offerings. Has a below-average complaint volume at the Consumer Financial Protection Bureau. Offers 180 affiliated loan stores nationwide for customers who prefer face-to-face service. You can start an application on your lunch break or over coffee. With these lenders and a smartphone, you’re set. You can apply and check your application status online. Certain loan programs allow consideration of nontraditional credit histories. Website offers plenty of educational material. Mobile app allows users to apply for a loan in under 10 minutes. Applicants can securely scan and upload documents through the app. A 24/7 online portal allows access to application and loan details. These lenders stand out among those with positive client feedback. Has a 95% customer satisfaction rating, according to company data. The mortgage process can be handled entirely online. Qualified loan officers can walk you through any part of the application. Each client receives a survey about their loan experience; negative responses are addressed. Costco members can earn discounts on fees. A renovation loan “concierge” works with you and your contractor or builder. Looking for a mortgage and not wanting to bust your budget? These lenders offer loan products and services you might like. Provides mortgages for manufactured homes. Offers energy-efficient home loans and FHA 203(k) renovation and remodeling loans. Uses bank statements rather than tax returns to qualify some borrowers. 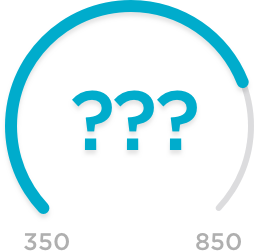 Credit score requirements as low as 580. These are among the highest-volume PHFA-participating mortgage makers in Pennsylvania; however, they haven’t been reviewed by NerdWallet. Based in Devon, Pennsylvania, and serving the Delaware Valley since 1886. Get pre-qualified in only a few minutes. Earn an interest rate discount when you set up automatic monthly payments from your Citizens Bank checking account. A dedicated loan officer guides you through the homebuying process. Secure document exchange speeds the loan process. Headquartered in Conshohocken, Pennsylvania, and a top 10 mortgage producer in the state, based on loan volume. Loan officers are familiar with and guide you through the PHFA process. Offers VA, FHA and USDA loans. Monitor and manage the loan process through a secure client portal. Qualifying for a loan can begin with an online application that takes just 20 minutes to complete. Based in Pittsburgh but with loan officers throughout the state. J.G. Wentworth Home Lending: Best among nonbanks. BB&T: Best for online capabilities. Fairway Independent Mortgage: Best for online capabilities. Guaranteed Rate: Best for customer service. Homebridge Financial Services: Best for customer service. PrimeLending: Best for borrowers with tight finances. J.G. Wentworth Home Lending: Best for borrowers with tight finances. Trident Mortgage Company: High-volume PHFA participating lender. Citizens Bank: High-volume PHFA participating lender. GMH Mortgage Services: High-volume PHFA participating lender. First National Bank of Pennsylvania: High-volume PHFA participating lender.